It's the end of an era. According to Business Insider, Abercrombie & Fitch has sold its corporate jet, meaning you will no longer enjoy the smell of A&F #41 floating in the air. The retailer placed the notorious corporate jet used by former CEO Mike Jeffries up for sale last quarter, amidst record financial losses for the company. They've already reduced their asking price for the Gulf Stream G550 by 11 million dollars. As you may remember, the A&F company jet got some press in 2012 when the bizarre 47-page staff rule book that leaked online. It dictated everything the four male models on crew were allowed to wear (jeans, boxer briefs, polo shirts, and flip flops, winter coats when the outside temperature dips below 50 degrees), to the condition that they were to keep the jet in (fingerprints anywhere were prohibited), to how they should answer Jeffries' requests ("no problem" is ok, but "sure" is not), to when it 's cool for them to wear a hat (only when the temperature is below 40 degrees, and the brim must be two-inches around). Some of the even more idiosyncratic rules included that the staff should constantly spritz A&F #41 cologne around the plane (even in their bedding), and Phil Collins' "Take Me Home" must be played on flights home as the guests entered the cabin. Getting rid of the jet is tangible proof that A&F is tightening its belt. The company has reportedly seen sales declining for 12 straight quarters, and it seems like they're trying to change their "cool kid" brand image in hopes of turning things around. In December, Jeffries, who had received criticism for all egedly racist and size-ist hiring procedures over the years, resigned from his post as CEO. "It has been an honor to lead this extraordinarily talented group of people," he said in a statement,"I believe now is the right time for new leadership to take the company forward in the next phase of its development." Back in 2014, the company launched an anti-bullying campaign alongside Lucy Hale. 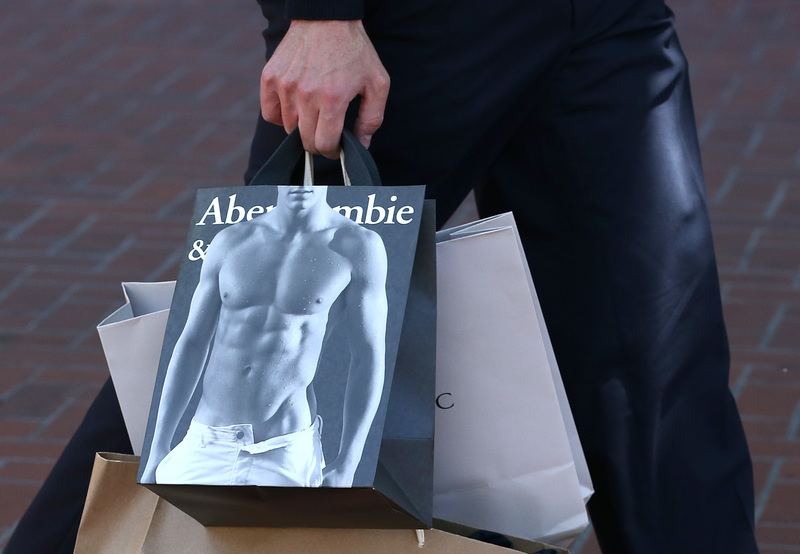 Last week, the news broke that Abercrombie would be banning washboard abs from their editorials. It'll take a while for them to make up for their moose-embroidered indiscretions, but ditching their plane might help them fly a bit higher.